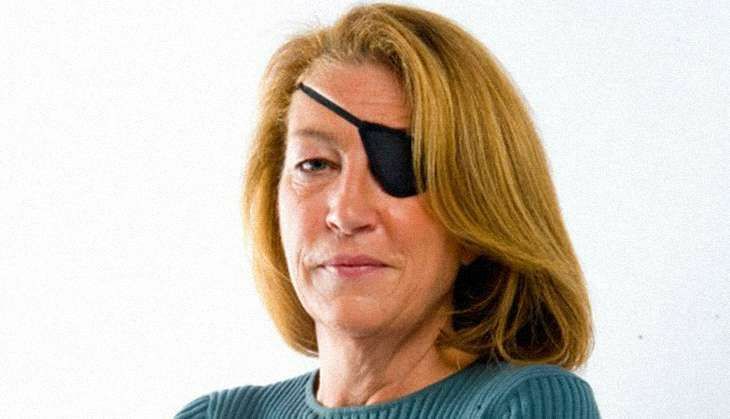 Marie Colvin was made of tough stuff. The American journalist from New York, who died in the city of Homs at the age of 56 in Syria in February 2012, accomplished many crazy feats in her 27 years reporting for London-based Sunday Times. She walked 30 miles in the Vanni jungle during the Sri Lankan Civil War - where she lost an eye to a grenade in 2001, thus the eye patch - and smuggled herself into Syria on a motorcycle. She still never shied away from filing one copy after the other championing innocent victims. Colvin eventually died only a few days after landing in Syria. She and French photojournalist Remi Ochlik were killed in an artillery barrage that used an IED full of nails. Now, on 9 July, Colvin's family filed a wrongful-death lawsuit in DC's District Court against the Syrian government. They say they have documents and witness testimony proving her death was not accidental, but part of a quite cold, deliberate and premeditated plan by the regime to murder journalists, both foreign and Syrian. The family's evidence includes a government letter dated 6 August 2011, which orders officials in Syrian provinces where protests were taking place to arrest organisers along with any people who "tarnish the image of Syria in foreign media," the Times reports. Therefore, you are requested to: organize daily joint security-military patrols...to raid the hiding places of those wanted for vandalism, murder, and assault against citizens, private property, and government departments. Apprehend these persons, particularly those inciting people to demonstrate, financiers of demonstrators, members of coordination committees who organize demonstrations, agents who communicate with persons abroad to perpetuate the protests, and those who tarnish the image of Syria in foreign media and international organizations." According to them, even though the fax talks only of "apprehending" demonstrators, activists and journalists, Colvin's family insists that as the government got more and more beleaguered, the word "apprehend" was understood as "kill". And this is a conspiracy, it is claimed, that goes right to the top. The "Central Crisis Management Cell", which issued the fax above, was President Bashar al-Assad's war cabinet. "Among the members was his brother, Maher, who commanded the Republican Guard and the elite 4th Armored Division. The CMCC also included President' Assad's trusted intelligence chief, Ali Mamluk, and the Deputy Defense Minister, Assef Shawkat, who was far more important and powerful than his title would suggest," writes Wood. The lawsuit accuses nine Syrian officials in all of developing and executing the strategy against journalists and activists. It details meetings in which an informant helped officials verify the location of the media centre using phone-tracking data, the New York Times reports. It even contends that a pro-government militia leader, Khaled al-Fares, received "a black luxury car" three days after the deaths, as a reward. "There are no military targets here," Colvin reported from Baba Amr, a district of the city where 28,000 civilians were "hiding, being shelled, defenseless", refuting Syria claims that its forces are only hunting terrorists. Baba Amr, where Colvin was the only British newspaper journalist, is where Colvin died. "It's a complete and utter lie," she said. "The Syrian Army is basically shelling a city of cold, starving civilians." "The thought that she was being watched the whole time, and she didn't know it, is chilling," said Cathleen Colvin, her sister and the lead plaintiff. "I feel really strongly that Marie was silenced, and I can't let that stand without bringing her killers to justice. I'm sure if the roles were reversed, she would do the same and more." Colvin, a Yale graduate who stayed behind enemy lines in the 1991 Iraq War, and remained in East Timor to document the 1,000 refugees in a UN compound under attack by government-backed militias in 1999, told the BBC that Assad's forces were "shelling with impunity, with merciless disregard for civilians". According to the Colvin family lawyers, the Syrian Military Intelligence located the satellite phone signal from this interview, and others. "With Colvin's precise location now known, General Shahadah prepared to launch an artillery attack," reports Wood. 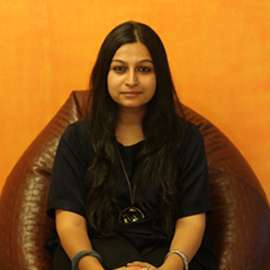 And that's how the world lost another courageous reporter who dared to defy the norm. READ NEXT >> Nanotechnology could make our food tastier and healthier - but can we stomach it?